"Regional airports must stick together to make case for reduced rate". This is an ON THE SOAPBOX special (it normally appears on the first Monday of each month). Such is the importance of the Chancellor's forthcoming tax statement, BTN makes no apologies for again highlighting this most unfair of levies. Why should Brits be taxed twice for one journey? 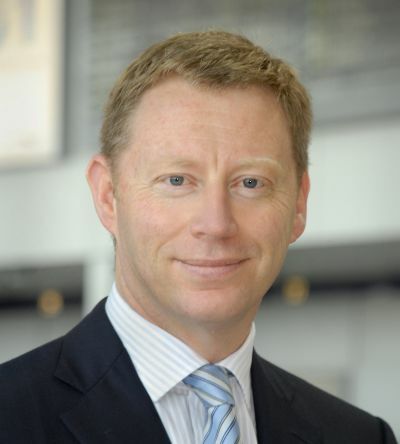 Robert Sinclair, a qualified lawyer and chartered accountant, was Chief Financial Officer at Auckland International Airport in New Zealand before joining Bristol Airport in 2008. Since arriving in the South West Robert has led the business through the recession in the UK, achieving incremental passenger growth, delivering improved facilities and securing planning permission for the development of the airport to handle 10m passengers per annum. “This week saw the first report of the Silk Commission, tasked by the UK Government to look at ways of improving the financial accountability of the Welsh Assembly. While the headline-grabber in Cardiff was the Commission’s recommendation for income tax varying powers to be devolved, tucked away in a section covering ‘smaller taxes’ was a proposal with the potential to have a complex and damaging impact on English airports which serve the Welsh market. Silk’s recommendation that Air Passenger Duty (APD) should be devolved for direct long haul flights from Wales flew in the face of the strong evidence submitted by several English airports, including Bristol. What is more, the report came too soon to properly consider the modelling carried out by HM Revenue & Customs which clearly demonstrates the effect of a unilateral APD reduction in Wales. In this scenario, the model forecasts a 25% reduction in passengers at Bristol by 2020, and a 20% reduction at Birmingham – but no net benefit to UK Plc. But it is not just airports who will feel the impact. If implemented, this recommendation would jeopardise jobs, connectivity and growth in the South West. There is no economic justification for distorting the market in this way, and there would only be one winner, because there is only one international airport in Wales. Even when restricted to direct long haul flights, a price advantage in Wales would put vital services from Bristol to European hubs at risk, and undermines the business case for long haul services to the USA and the Middle East. The focus on long haul is particularly bizarre given that only a handful of existing flights from Wales will benefit, consisting entirely of outbound leisure services which will not meet the economic objectives behind Silk’s recommendation. Devolution of APD to the Northern Ireland Assembly is cited as a precedent, but this ignores the very special circumstances in play in that case. Devolution of APD to Northern Ireland, enabling the rate on long haul flights to be reduced, addressed a unique situation where a part of the United Kingdom shares a land border with another state – the Republic of Ireland – whose aviation duty is substantially lower, resulting in significant leakage over the border and jeopardising vital routes. The Silk Commission’s recommendation would create the very inequality the UK Government took steps to address in Northern Ireland. Instead of treating APD as a bargaining chip in a game of constitutional politics, policy-makers on both sides of the border should consider ways in which an aviation tax based on congestion could help rebalance the economy to the benefit of all regions. The Commission’s secondary recommendation that the Davies review should consider such a mechanism is welcome, but will be too little, too late if long haul reductions have already been implemented in Wales. Airports outside London – where the City sustains higher levels of business traffic and the capital’s brand dominates perceptions of the UK in overseas markets – are in the same boat. We need to work together to promote fiscal measures which promote best use of existing airport capacity. By working together, we can present a strong case to Government. If we use Silk as our starting point, we will simply end up with a sow’s ear”.